Online registration can be completed from any computer with internet access. Computers are also available for families to complete the online registration at the District Office or your child's school office during normal business hours. Registration assistance events will be available for families to complete the online process with the support of District staff as well as offer families an opportunity to have any registration questions answered. 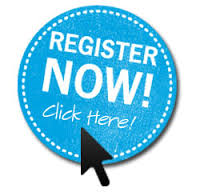 Select the appropriate register now icon to begin the online registration process. Once you enter your SnapCode, you will be prompted to log into your InfoSnap account. If you have not created one in the past, you will be prompted to set up an InfoSnap account at that time. An email will be REQUIRED to create your InfoSnap account. If you do not have an email account, you can create one by selecting one of the links below.